We all know that of all the precious commodities, time is the most precious and limited of all! This fact is compounded when considered by a busy mom who is trying to take care of her little family. This guide was created to help simplify an important part of your family’s health, their Oral Health. The majority of us adore summer with its long and hot days. This is the time that BBQ and party season kicks off. 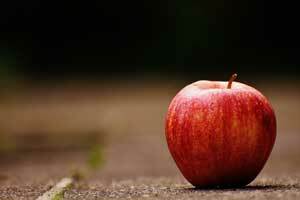 Even the healthiest eater may be enticed by unhealthy foods such as processed meats (e.g. hot dogs), carbohydrates (for instance potato chips) and calorie deficient soda. It is a fact that none of us lives in a perfect world. Regardless of how well you care for your teeth, you may still have dental health problems. Unbearable toothaches, damaged teeth, and adult tooth loss can result into many inconveniences in your daily life and damaging effects to your general health. In some cases, these problems are simply genetic. If one of your parents had bad teeth, the odds are that you will, too. It is important to replace missing teeth and restore damaged teeth as a preventive measure against more complicated health issues including an abscessed tooth or TMJ disorder. Recently there seems to be a revival of talk concerning this article, and of course people want to know: Is Flossing Really Necessary? 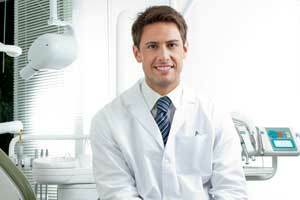 At Spokane Dental we know that visiting the dentist can be a stressful experience for some. We work hard to give our patients a positive experience and a stress free dental visit! Our team is compassionate and professional, and our office is welcoming from the moment you enter the door. In this post we will cover 5 ways to make your dental visits stress free! A missing tooth can trigger a series of problems starting from an unsightly smile, inefficient chewing to problems like movement of teeth to the space created by the missing tooth. Hence, tooth replacement is mandatory to restore both esthetic appeal and function. 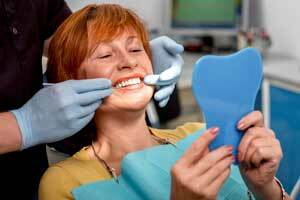 Dental implants have proved to be one of the most ideal methods of tooth replacement. Selecting a good family dentist is the first and most important step towards maintaining the dental health of your entire family. 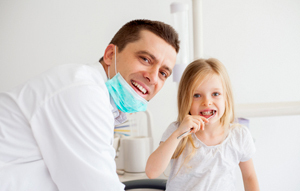 A common question we hear at Spokane Dental is, "How do I get my kids to brush their teeth?" It can feel like an impossible task to get your kids to brush their teeth and when they do, to get them to do it properly... In this post, we will dive into 6 tips for accomplishing the impossible! At Spokane Dental, our patients frequently ask questions concerning teeth whitening. We are so passionate about meeting our patient’s needs and helping people achieve the healthy smile they desire that we answered some of our patient’s teeth whitening questions in our first blog post below!